2nd Tuesday - Model Rocketry, Safety, Character Dev. Military organizations have used drill and ceremonies for centuries. Drill was used as a way to build teamwork and to move masses of people from one place to another in an orderly fashion. Although specific movements in drill and ceremonies may vary from one country to another and one branch of the military to another, their basic purpose is the same. This text is not intended to teach all the drill commands. Rather it ‘s intended to give you a head start with some basic movements and the commands associated with those movements. All members must know the most basic of movements. Because cadets will be participating in large drill formation, more advanced commands will be taught as part of their regular curricular instruction. In all cases, formal instruction will be given by a qualified drill instructor. CAP is the auxiliary of the United States Air Force. Because of our close ties to the Air Force, it is natural for drill and ceremonies to be included in our subculture. While drill and ceremonies are not emphasized in the Officer Program like they are in the Cadet Program, officers are expected to perform some basic drill and to be familiar with basic customs and courtesies. These are commands such as "Attention," "Parade Rest," "Present Arms," etc. We do this not only to keep the tradition of drill alive, but to instill the concept of teamwork and build esprit de corps; which loosely translated means "team spirit." You will be exposed to drill and ceremonies in many venues such as the opening formation at your unit meetings, your Level I orientation, leadership schools sponsored by your unit or other units, and special schools such as CAP's Region Staff Colleges. 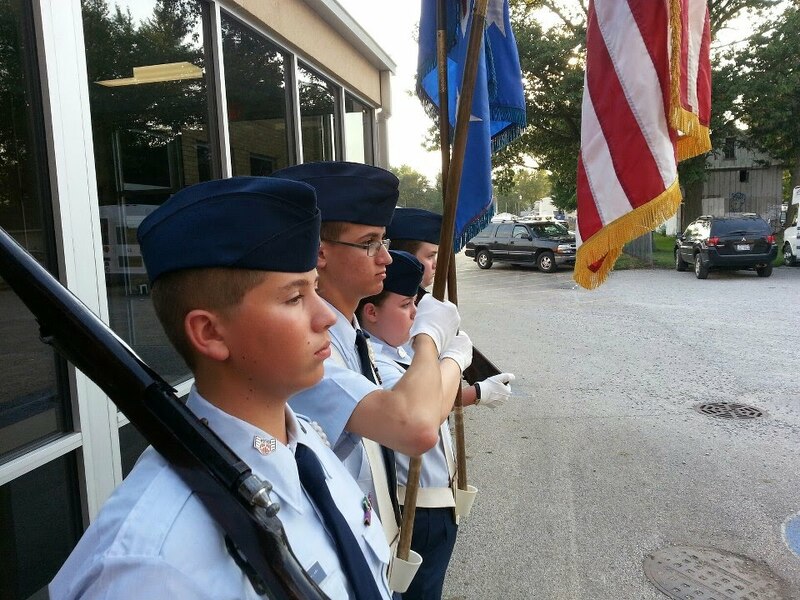 Certain material and information on this website was implemented with permission from the Miami Valley Composite Squadron of the Civil Air Patrol. Links or references to individuals or companies contained on this site does not constitute an endorsement of any information, product, or service your may receive from such sources.